Typically, when talking about laser vs ink printers, you go by use case. A laser printer suits black and white document printing. 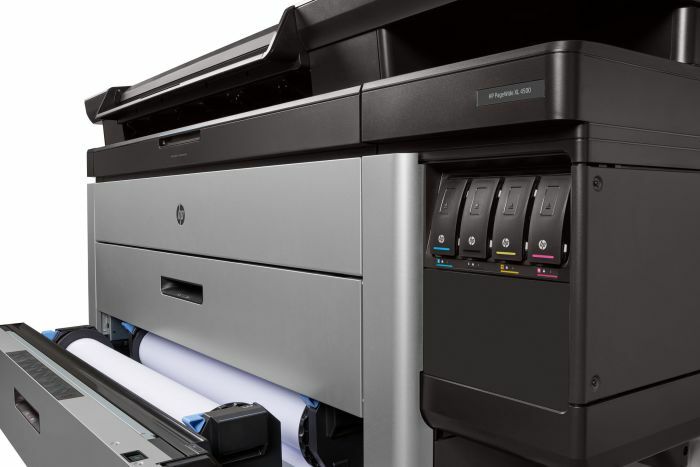 Color printing–particularly high DPI prints–is best handled by Inkjet printers. A color laser printer hits the sweet spot for documents that have multi-color graphs and simpler elements. Now we have HPE boasting their PageWide technology reduces printing costs 40% compared to color laser commercial printers. The messaging is front and center in the marketing. In the headlines, they asterisk “laser” printers, because they aren’t as fast or efficient as their monochrome counterparts at b&w document printing. It’s the monochrome laser printers that comprise the top-sellers for B2B customers at Newegg. Customers know the TCO advantage. For a law office, real estate firm, insurance or financial branch office cranking thousands of pages of official paperwork on a daily basis, you have a monochrome laser unit for that. But if you aren’t printing enough hundred-page contracts to warrant a monochrome laser printer, an HP MFP is a better look. It provides a sensible value proposition for the paperless trend, and companies moving toward digital document management. I am guessing that PageWide technology is called such because the printhead spans the width of the page. It doesn’t move back and forth like every other ink printer I’ve ever seen. The printer moves paper through it instead. The firmware controls thousands of print nozzles that fire while continually checking for blockages. The printer has redundancy features built in at the nozzle level to make it capable of ‘one pass’ print work. The result for the end user? An inkjet that gets as many pages per minute as weighs in pounds. Is easy, fast printing good for a digitization initiative? A printer that scans, copies, and faxes is multi-functional peripheral (MFP) in office technology circles. For a mostly-digital company MFP saves money and space serving as four devices. Unless officially mandated paperwork print-outs are a core part of your operation, MFPs make lot of sense. Inevitably you do have to print at some point, and PageWide offers great value and performance for those occasions. A Forbes writer enjoyed PageWide so much, in his review he admitted he started printing just for the pleasure of it. He edited first drafts with a red pen instead of Word. He printed out personal photos for fun, and basically disregarded every paper reduction rule you could write into company policy. That’s a ringing endorsement, of course. I would think that a fast document scanner helps digitization goals better than an MFP office printer with slick performance, but that’s just a hypothesis. Have a first gen PageWide printer in our Service department, used for printing color invoices. Relatively cheap to keep in ink, very fast, and good quality. Just checked the Usage page, 68K color pages out of 90K. 6K color copies out of 11K made, not bad at all. This is an X585, quite a bit larger than the example in your article, but the same technology. Looking forward to the second generation devices. Always good to hear from you, Brian. That seems like big-time print volume. Is it pretty standard for construction/engineering? Paper still rules the trades? Shucks no, that’s just invoices for HVAC service, the serious printing is B&W on 60-75 PPM MFP’s or wide format laser plotters. Paper is king for plan sets on a jobsite, still. Operations & Maintenance (O&M) manuals are still 5″ ring binders for the shelf, despite a DVD-R in an envelope. We still have companies we work with that only FAX, fer cryin’ out loud. HP is smart to still keep that functionality in the recipe, as archaic as it sounds. Still lots of room for technology driven productivity gains in the construction industry, despite all the fancy 3D BIM demos.